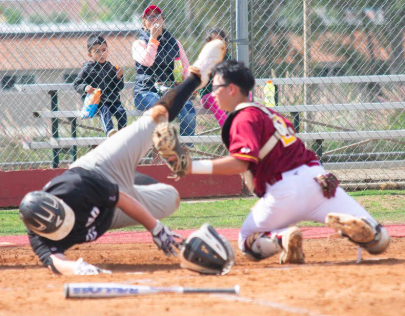 SPRING VALLEY (3-24-2019) – During their nine-game losing streak, it seemed like it only took one mistake to turn a potential victory into a loss for the West Hills Wolf Pack. 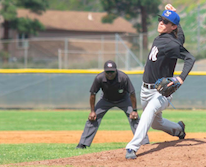 Then the Grossmont Valley League schedule commenced; now look which ballclub is 2-0. 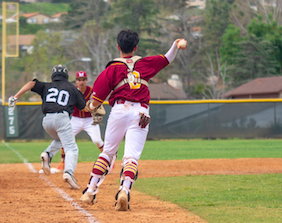 Behind a solid, 4-hit shutout by Kai Dennis, West Hills blanked host Monte Vista, 3-0, completing a sweep of the teams’ home-and-home series. Dennis registered six strikeouts, then was aided by a big defensive play. During the losing skid, six of the looses were by two runs or less, decided on one or two keys plays. But this past week, West Hills is starting to convert many of those plays. An example came in the 1st after Abraham Sanchez was hit by a pitch with two outs. Monarchs cleanup hitter Andy Canedo lifted a fly ball to right field, but the ball was dropped. Sanchez sped home, but outfielder Parker Craft collected the ball and fired a strike to Wolf Pack catcher Andrew Ritayik, The backstop lowered his head in anticipation of a slide, but Sanchez barreled him over in a violent crash, sending Ritayik’s helmet flying. Still, the runner was allowed to remain in the contest. The play jacked-up Dennis, who struck out the next batter, but he also allowed two hits in the 2nd before escaping. 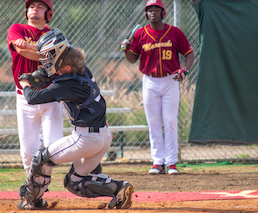 Afterward, the junior allowed just two other base hits and walked one. Among the hits was a lead single by Sanchez in the 6th. However, he was erased when West Hills shortstop Joie Thrailkill started an inning-ending double play. In the 7th, Dennis then closed the contest with a pair of strikeouts to keep West Hills (3-9 overall, 2-0 GVL) in first place. For Monte Vista (6-6 0-2 GVL), starting pitcher Abraham Sanchez went 5.2, yielded seven hits, but the one run allowed was unearned. “Today we just didn’t execute when we needed to and that ultimately cost us the game,” Sanchez said. “They executed when they needed to and it led to their runs. In fact, all three West Hills runs were unearned. 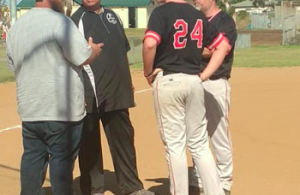 “West Hills played really well the last couple games,” Monte Vista head coach Craig Neu said. “They out played us today. “Abe pitched a great game. He gave us a chance to win, but we didn’t make enough plays around him. 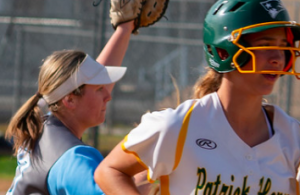 “In tight ballgames, it is always the little things that make the difference. They made all the little plays and we didn’t. In the 5th, Kole Klingerman reached on an error when the ball sailed down the right-field line. Thrailkill followed with a bunt on a safety squeeze, but he beat the late throw to first base as Klingerman scored. 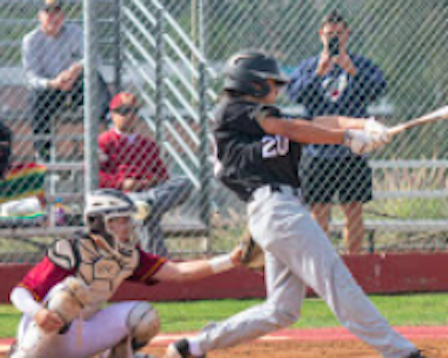 In the 7th, the same combo of Wolf Packers got things going, as Klingerman lined a single to left, then Thrailkill reached on another bunt single. Cody Pedrero walked to load the bases. Ritayik followed with a hard ground ball to shortstop, but the ball was booted. 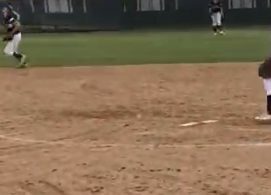 Since only the corner infields were drawn-in and you can’t anticipate a double play, Ritayik received one RBI, while Thrailkill motored around for a second run on the play.